ASTANA – Kazakh Foreign Minister Kairat Abdrakhmanov outlined once again Kazakhstan’s priorities in human rights, democratisation and disarmament processes in a high-level segment session of the UN Human Rights Council (UNHRC) and the Conference on Disarmament (CD) as well as during bilateral meetings over the course of his visit to Geneva Feb. 27 to March 1. Addressing the participants of the Feb. 28 UNHRC session, Abdrakhmanov outlined Kazakhstan’s priorities and objectives regarding the effective implementation of human rights. “The promotion and effective protection of human rights is impossible without peace, security and development. The three pillars on which United Nations activities are based are closely interlinked and mutually reinforcing,” the minister stressed. According to Abdrakhmanov, Kazakhstan regards its election to the UN Security Council (UNSC) as a high responsibility and a sign of the international community’s trust in Kazakhstan and its peaceful policy, and in the country’s initiatives and proposals to strengthen the UN’s role in ensuring peace and security across the globe. In this regard, he highlighted that on March 2, Kazakhstan celebrates the 25th anniversary of its accession to the United Nations. He emphasised that Kazakhstan is committed to progressive democratisation, has ratified universal human rights documents and is constantly working on implementing their provisions into national legislation. In addition, Abdrakhmanov noted that Kazakhstan would continue to contribute to the achievement of global sustainable development. One of these steps will be EXPO 2017 in Astana this summer. The expo, with its theme of “Future Energy,” will promote sustainable energy and finding ways to mitigate the negative impacts of climate change. Speaking at the Conference on Disarmament the same day, Abdrakhmanov presented Kazakhstan’s position on important international issues and stressed that the Conference has proven potential to make a major contribution to the disarmament process. 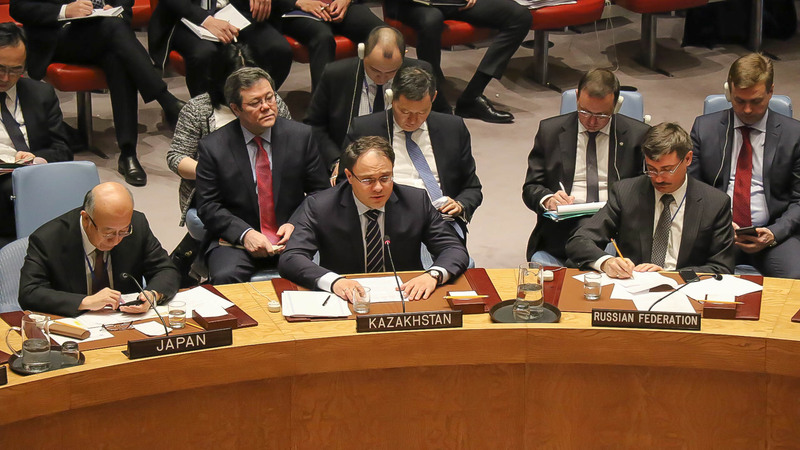 Speaking about Kazakhstan’s approaches to nuclear disarmament, the minister highlighted that the subject is one of the key priorities for Kazakhstan’s tenure as a non-permanent member of the UNSC. This was presented in the policy address by Kazakh President Nursultan Nazarbayev to the UNSC in January. At a meeting with UN Special Envoy for Syria Staffan de Mistura, the progress of the Geneva talks on a Syrian settlement was discussed. 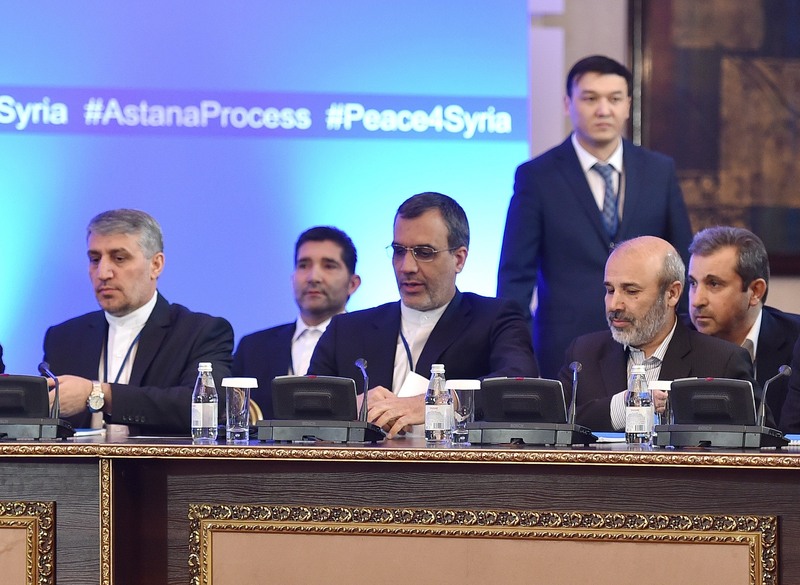 The sides noted the relevance of the Astana process in bringing peace to Syria and the region. Abdrakhmanov also held a meeting with Director General of the World Trade Organisation (WTO) Roberto Azevêdo and congratulated him on his re-election to the post for a second term. Azevêdo thanked the Kazakh side for supporting his candidacy and noted the keen interest of the WTO to expand cooperation with Kazakhstan. He also stressed Kazakhstan’s WTO membership will contribute to the effective implementation of the country’s trade potential and facilitate the integration of Central Asia into the global trade system. Abdrakhmanov also congratulated Azevêdo on the entry into force of the WTO Agreement on Trade Facilitation. Kazakhstan, the largest landlocked country in the world, has huge transit potential and is interested in the implementation of an agreement that will help Kazakhstan reduce trade costs by 15 percent. In turn, Executive Chairman of the World Economic Forum (WEF) Klaus Schwab said at a meeting with Abdrakhmanov that the WEF attaches great importance to cooperation with Kazakhstan. He praised the growing role of Astana as an important platform for discussing complex issues of international relations and the global economy, noting in this regard the talks on Syria within the Astana process. Schwab also invited the Kazakh side to participate in the World Economic Forum on the Middle East and North Africa that will be held in Jordan May 19-21. Abdrakhmanov focused on the implementation of Kazakhstan’s third modernisation programme, which aims to create a new model of economic growth to increase the country’s global competitiveness. The minister noted the interest of the Kazakh government in WEF initiatives on energy partnership and human capital development. Abdrakhmanov also met with Executive Secretary of the UN Economic Commission for Europe (UNECE) Christian Friis Bach, who highlighted the successful chairmanship of Kazakhstan in the Commission and its Executive Committee, which contributed to closer cooperation between UNECE member states during tense economic and political times in Europe. Abdrakhmanov noted Kazakhstan’s interest in expanding cooperation with the UNECE, as well as in creating new directions and formats for such cooperation in the context of global economic and social crisis. Bach commented on the joint preparation of the Kazakh government and the UNECE for the Ministerial Conference and the International Energy Forum that will be held June 11-14 as part of EXPO 2017 in Astana. He also noted the importance of the exhibition and its focus on sustainable energy, which, in his opinion, will contribute to reaching the UN Sustainable Development Goals and give significant impetus to the development of Kazakhstan’s energy sector. Abdrakhmanov thanked UNECE and Bach for their support in creating the International Centre for Green Technologies and Investments and the International Water Assessment Centre in Astana. The Kazakh foreign minister also held bilateral meetings with UN High Commissioner for Human Rights Zeid Ra’ad Al Hussein, Director General of the United Nations Office at Geneva Michael Møller, and his counterparts from Albania, Australia, Belgium, Hungary, Latvia, Mongolia, Nepal, Slovenia, Spain, Sweden, and Ukraine, as well as deputy foreign ministers from Cyprus and Uruguay. ASTANA – President of Kazakhstan Nursultan Nazarbayev and Honorary Ambassador of The ATOM Project Karipbek Kuyukov along with the international organisation Global Zero have been nominated for the 2017 Nobel Peace Prize. Director of the Basel Peace Offices (BPO) Alyn Ware from Switzerland submitted the nominations, according to a February 26 posting on his Facebook page. “I am submitting a nomination for two individuals and one organisation, each of which is making a significant and complementary contribution to public awareness and political processes for nuclear disarmament,” Ware said in his official letter. According to Ware, nuclear weapons are primarily a political weapon, not one currently used in the battlefield. As such, there is no single approach to eliminating the threat. Success in achieving nuclear abolition will require a combination of approaches, some emphasising the inhumanity and illegality of nuclear weapons, others emphasising the economic and political costs, and others emphasising the possibilities to achieve security without relying on nuclear deterrence. “President Nazarbayev stands out as a leader who has taken a number of significant nuclear disarmament initiatives during his 22 years as leader of Kazakhstan. … He not only has a commitment to the achievement of a nuclear-weapons-free world, but continues to take a number of initiatives that are influential in the process to achieve such a world. A Nobel Peace Prize would enhance the influence and support these processes globally,” Ware said. Kazakh President Nursultan Nazarbayev at Building a Nuclear-Free-World international conference in Astana, Aug. 29, 2016. In his letter, available at www.nobelwill.org, Ware listed several of Nazarbayev’s contributions to the global nuclear disarmament process which he said merit the recognition. These include closing the Soviet nuclear test site in Semipalatinsk; foregoing the world’s third largest nuclear arsenal to become a nuclear-weapon-free country [the nomination says “third largest” whereas in effect Kazakhstan’s arsenal used to be the world’s fourth largest, smaller than those in Russia, the U.S. and Ukraine]; leading the negotiations for the establishment of a Nuclear Weapons Free Zone in Central Asia; establishing the UN International Day Against Nuclear Tests; hosting a number of international conferences on nuclear abolition; initiating the Universal Declaration for a Nuclear-Weapons Free World which has now been adopted by the United Nations; launching a Manifesto for the 21st Century which outlines a plan to eliminate nuclear weapons by 2045, the 100th anniversary of the United Nations; addressing military spending and Sustainable Development Goals (SDGs), including a challenge to all governments to contribute one percent of their military spending to meeting the SDGs; pledging action on nuclear disarmament in the UN Security Council, where Kazakhstan has a non-permanent seat from 2017-2018; and launching the Nazarbayev Prize for a Nuclear-Weapons-Free World and Global Security. 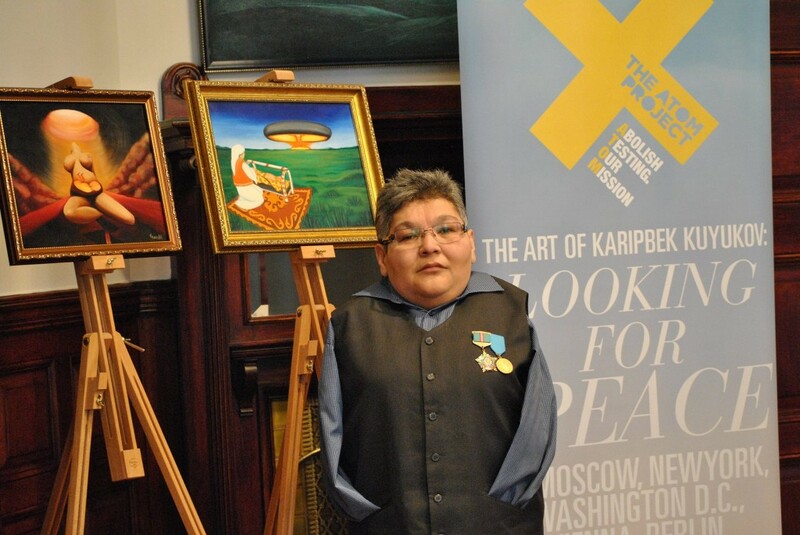 “Kuyukov is a hero of the nuclear age who is highlighting the tragic experience of his region in Kazakhstan – devastated by the long-term effects of Soviet nuclear tests. The ATOM Project, which he leads, informs the world of the catastrophic humanitarian and environmental impacts of nuclear weapons and the imperative for nuclear abolition. 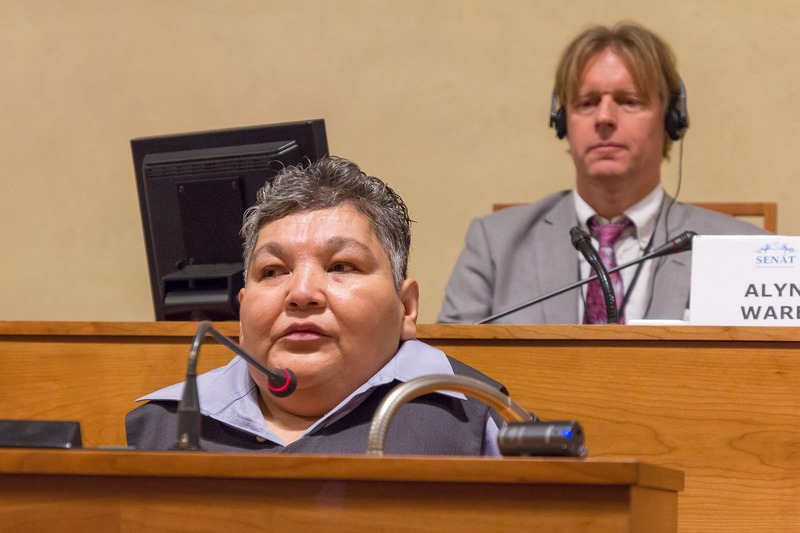 A second-generation victim of nuclear tests, Karipbek was born with severe health complications, including being born with no arms. He has overcome these to become a renowned painter (using his feet and mouth) – including paintings depicting the nuclear testing in his region. Karipbek speaks at key events in the United Nations and around the world, telling story after story of the families that are still being severely impacted by birth defects, cancers and other health effects,” he added. The letter also notes Global Zero leaders include very influential legislators and former officials from the nuclear armed and allied states. They produce influential reports and hold effective consultations and meetings in the capitals of nuclear-armed states. Global Zero youth have been instrumental in raising the issue through social media, at international conferences, in mainstream media and most recently in the U.S. presidential election campaign, where they managed to raise the nuclear weapons issue in town hall meetings with most of the presidential candidates. In addition, Member of the Scottish Parliament Bill Kidd also nominated Nazarbayev and Kuyukov for their dedicated and effective actions to highlight the catastrophic humanitarian consequences of nuclear weapons, as well as for their leadership in promoting a nuclear-weapons-free world, www.nobelwill.org reported. “Nuclear weapons are recognised as the most extreme form of violence. They are the most destructive of all weapons in terms of their explosive force, the poisons they release (radiation) and the long-term and severe impact on human health and the environment, including their potential for catastrophic climatic consequences,” Kidd noted in his application to the Nobel Peace Committee. Kuyukov (L) and Ware (R) at Parliamentarians for Nuclear Nonproliferation and Disarmament Assembly in Prague, 2015. The BPO is a joint initiative of the Canton of Basel, University of Basel Sociology Seminary, Parliamentarians for Nuclear Non-proliferation and Disarmament, Global Security Institute, Middle Powers Initiative, World Future Council, IPPNW Switzerland and the swisspeace Foundation. The ATOM Project is an international campaign designed to create awareness surrounding the human and environmental devastation caused by nuclear weapons testing. The ATOM Project seeks to affect real and lasting change by engaging millions of global citizens to permanently stop nuclear weapons testing by joining together to show the world’s leaders that the world’s citizens deserve and demand a world without nuclear weapons testing, according to www.theatomproject.org. 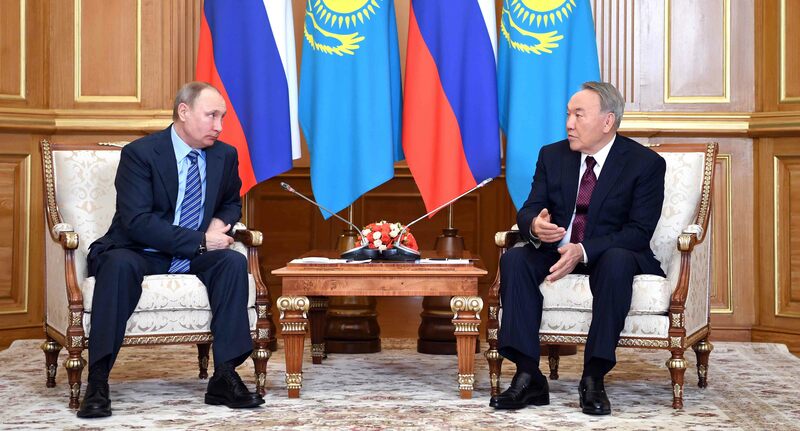 ASTANA – Kazakh President Nursultan Nazarbayev and Russian President Vladimir Putin discussed bilateral cooperation and international issues Feb.27 in Almaty. During the meeting, Nazarbayev stressed the close and trusting relationship between the two countries. “This year marks 25 years since the establishment of diplomatic relations between us. The Eurasian Economic Union (EAEU) was established thanks to our close partnership. In my opinion, it is an important and promising establishment for all the participants. Today, more than 7,000 Russian companies are registered in our country. They are contributing to the creation of a new processing industry. Your visit to Kazakhstan in autumn 2016, as well as our St. Petersburg meeting in the framework of the (Eurasian Economic Council) allowed us to sign 41 contract worth $3 billion,” he said, according to an Akorda press release. 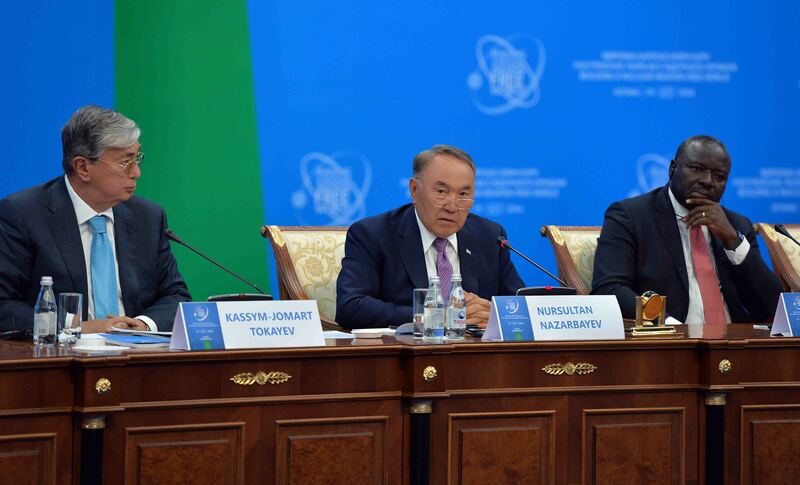 Nazarbayev noted Kazakhstan and Russia have similar positions on many international issues and that Kazakhstan’s membership in the UN Security Council in 2017-2018 will help implement common objectives. “Russia is taking measures to address the topical international issues, including the settlement of the Syrian conflict. Russia proposed to hold several rounds of talks in Astana. The process has started. In general, a series of meetings will be organised throughout the year in order to address this and other issues, including in the framework of the Shanghai Cooperation Organisation on June 8 in Astana. We solve all the current issues in a friendly manner. We shall be moving forward, creating joint ventures along the way,” Nazarbayev stated. Putin thanked his counterpart for the organisation of the Astana Process to help resolve the conflict in Syria. “I know that Kazakhstan has played a positive role in this process not only as an organiser. You personally took part in the organisation of meetings, as well as worked with the participants and delegates. Thanks to you, it became possible to achieve) results which never had been achieved earlier. The established mechanism of control over the ceasefire is the most important thing. This is the foundation for further negotiations in Geneva,” Putin said. He further noted the importance of Kazakhstan as a key economic partner for Russia and stressed the need to expand trade and investment cooperation, including thanks to the conditions established as part of the integration process. The Russian leader expressed hope for Kazakhstan’s support in dealing with global issues as of a non-permanent member of the UN Security Council. During the meeting, the sides also discussed Eurasian integration and economic cooperation. The day before the official meeting on Monday, Nazarbayev and Putin met informally, to ski at an Almaty resort. On Feb. 27, Putin left Almaty for Tajikistan, and he is also scheduled to visit Kyrgyzstan as part of his Central Asian tour. ASTANA – First Deputy Prime Minister of Kazakhstan Askar Mamin met with Uzbek President Shavkat Mirziyoyev and participated in the 16th session of the joint intergovernmental commission on bilateral cooperation Feb. 23 in Tashkent. “Kazakhstan is the largest strategic trade partner of Uzbekistan in Central Asia,” Mirziyoyev said, noting the two countries are entering a new stage of economic cooperation. According to a press release from the Kazakh government, Mamin said Kazakh President Nursultan Nazarbayev attaches great importance to relations with Uzbekistan and that cooperation has allowed the opening of joint trading houses in agribusiness, chemicals and the petrochemical industry. Mamin also noted the importance of cooperation in tourism and the automotive and petrochemicals industries and joint agreements to open bus and air routes. An Almaty-Tashkent high-speed railway and an increase to six flights a week between the capitals are expected to launch soon. Trade turnover also increased 40 percent to $1.6 billion in 2016 with plans to increase that to $5 billion by 2020. After the talks, Mirziyoev awarded the Dustlik (Friendship) Order to Mamin for great contributions in the development of mutually beneficial relations between Uzbekistan and Kazakhstan, his personal contribution to the expansion of cooperation between the two countries in the field of railway transport, as well as participation in major projects of interregional transport corridors in Central Asia. At the meeting of the joint intergovernmental commission, the participants stressed that the development of industrial cooperation and joint investment projects should be the main focus of cooperation between the regions. “We are ready for active cooperation with Kazakhstan and implementation of joint projects. The expansion of interregional cooperation will certainly contribute to the intensification of trade-economic and investment cooperation,” First Deputy Prime Minister of Uzbekistan Ochilboi Ramatov said. The Kazakh and Uzbek delegations discussed bilateral cooperation in energy, customs, oil and gas, transport and transit, tourism, scientific and technical, the cultural and humanitarian spheres, as well as cooperation in military and military-technical fields. The growth in the transportation of goods by rail between Kazakhstan and Uzbekistan in 2016 to 19 million tonnes was also noted. The parties agreed to limited transportation tariff discounts for Kazakh grain through Uzbekistan, and Uzbek fruits, vegetables and other agricultural products through the territory of Kazakhstan. ASTANA – The Kazakhstan Temir Zholy (KTZ) national railway company and Vietnam Railways agreed Feb. 20 to cooperate in container transport along the Vietnam – China – Kazakhstan – Europe route. The agreement follows an earlier agreement between the Eurasian Economic Union (EAEU) and Vietnam to increase trade from $4 billion to $10 billion by 2020. The decision was made during a meeting in Hanoi to discuss international transportation, which included KTZ head Kanat Alpysbayev, Vietnam Railways Chief Executive Officer Vu Ta Tung and Vietnam Minister of Transportation Truong Quang Nghia. Ambassador of the Republic of Kazakhstan to Vietnam Beketzhan Zhumakhanov and representatives of the Food Corporation and Kazakh Association of Exporters of Agricultural Products also participated, according to the KTZ press service. The group also discussed shipping agricultural products from the Kazakh to Vietnamese market as well as transporting tropical foods and seafood from Vietnam to Kazakhstan. They also spoke favourably of increasing agricultural shipments, which would help grow cargo traffic between Vietnam and Kazakhstan. The Kazakh side also reported on the first pilot shipment of grain from the Kazakh-Chinese container terminal at the port of Lianyungang to the port of Ho Chi Minh. The pilot shipment was operated by a subsidiary of KTZ – the multimodal company KTZ Express – together with the Chinese-Kazakhstan international logistics company of Lianyungang city. The transport and logistics terminal at the port of Lianyungang is a joint venture of Port Lianyungang Ltd. and KTZ Express. Transportation of Kazakh goods using Lianyungang port contributes to the development of the Silk Road Economic Belt initiative. ASTANA – A Kazakh delegation presented the country’s first official development assistance (ODA) project to the Afghan government Feb.12-17 in Kabul. The project seeks to strengthen the economic independence of Afghan women by providing education from Kazakhstan’s top educational institutions in public administration and health care, maternal and child health and other topics. The initiative is being funded by the UNDP and Japan. Deputy Minister of Women’s Affairs of Afghanistan Wardak Spoghmai, who met with members of the Kazakh delegation, said a lack of experienced professionals contributes to Afghanistan’s development challenges and said the Afghan Ministry of Health supports Kazakhstan’s project. Director of Foreign Economic Policy Department of the Kazakh Ministry of Foreign Affairs Olzhas Issabekov said “the efforts to develop human capital are the most justified ones. It stipulates the competence of decisions and reforms.” In his words, this project is a distinct addition to Kazakhstan’s initiative to train 1,000 Afghan students in the universities of Kazakhstan until 2020. President of Kazakhstan Nursultan Nazarbayev and Prime Minister of Japan Shinzo Abe agreed in 2015 that Japan would fund the project. Members of the delegation to Kabul included representatives of the Ministry of Foreign Affairs, the Ministry of Education and Science and the Agency for Civil Service Affairs and Anti-Corruption. The delegation also included a representative of the United Nations Development Programme office (UNDP) in Kazakhstan. While in Kabul, the delegation also met with Deputy Minister of Finance of Afghanistan Mohammad Mustafa Mastoor, Deputy Minister of Health Jan Naim Ahmad, as well as with the heads of the UNDP country offices and the United Nations Population Fund in Afghanistan (UNFPA). 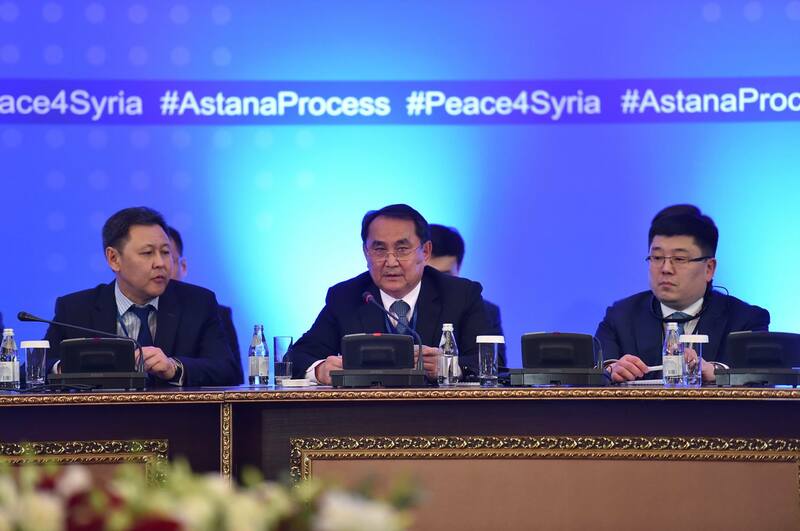 NEW YORK – Kazakhstan believes the Astana platform, which recently demonstrated its usefulness in talks on Syria, can be used more widely as a venue for efforts to help resolve other conflicts, one of Kazakhstan’s top diplomats said Feb. 21 at the UN Security Council. The European security environment has changed dramatically in recent years, he said. The conflicts, threats and instability on the continent are impacted by contemporary security challenges, such as unconventional terrorism, irregular migration, organised crime, including arms and drugs trafficking as well as trafficking in persons. “Last but not least, there’s the expanding atmosphere of fear and distrust,” the diplomat added. “To this end, Kazakhstan has consistently advanced an international agenda that seeks to help solve conflicts before they arise, and, if that is no longer possible, to mediate between conflicting parties with the aim of creating conditions for lasting peace,” Vassilenko explained, citing the results of several international meetings in Astana and Almaty on the Syrian conflict and Iran’s nuclear programme. 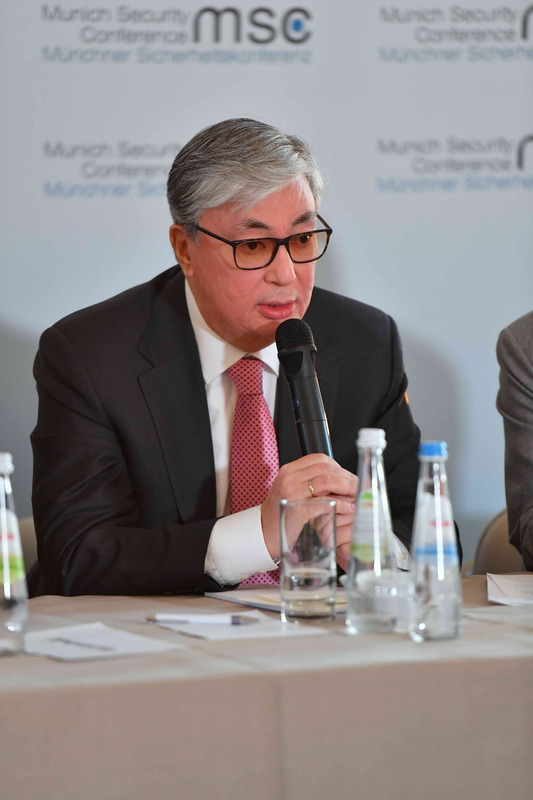 Kazakhstan’s approach based on seeking mutual understanding and restoring trust among nations, was, perhaps, most notable during its chairmanship in the Organisation for Security and Cooperation in Europe (OSCE) in 2010, he said. “At the Astana Summit of the OSCE in December 2010, all of its participating states recommitted themselves to ‘the vision of a free, democratic, common and indivisible Euro-Atlantic and Eurasian security community stretching from Vancouver to Vladivostok, rooted in agreed principles, shared commitments and common goals.’ That commitment is as critical and relevant now as it was then,” the Kazakh deputy foreign minister stressed. According to him, peaceful solution of conflicts in Europe requires practical action at several levels: between major powers, regionally and locally. It is also important that the Security Council as well as other partners redouble efforts to forge political agreements, taking advantage of even the narrowest openings to find opportunities for compromise, as a matter of priority. “Bringing an end to the conflict in eastern Ukraine should be our utmost common priority. Our President has consistently worked to help put an end to hostilities contributing to the eventual conclusion of the Minsk Agreements,” Vassilenko said, adding that Kazakhstan considers those agreements the only viable, existing mechanism for solution of the conflict in a peaceful way. He also said Astana welcomes the most recent announcement on Feb. 18 of an agreement to implement the cease-fire in that three-year-old conflict which has seen one of its deadliest flare-ups in recent weeks. He also outlined Kazakhstan’s positions on the situation in Georgia and the Nagorno-Karabakh issue, as well as on Cyprus and Bosnia and Herzegovina. In the policy address, the Kazakh leader said progress through preventive diplomacy, democratic processes, arms control, confidence and security-building measures, the promotion of human rights and security in the economic and environmental dimension lie at the heart of Kazakhstan’s vision for effective global security and safety. 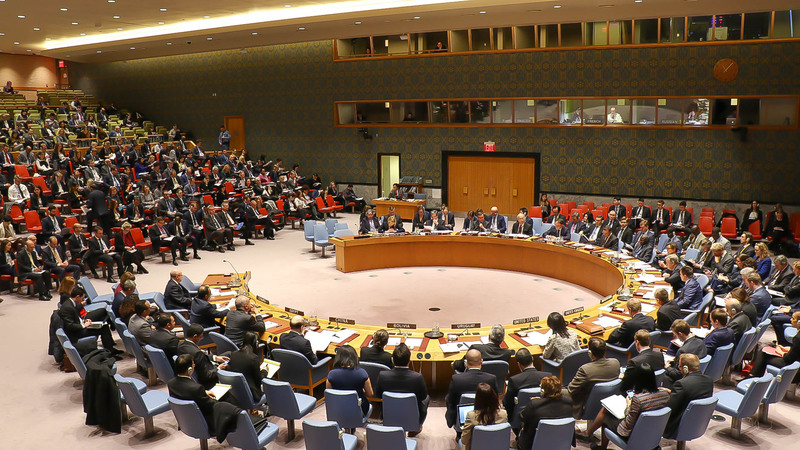 And the manifesto, which is an official document of the UN Security Council, sets out a step-by-step plan for ending conflicts and violence at regional and global levels. “We fully support the agenda and priorities of UN Secretary-General Antonio Guterres on prevention of conflicts, which is more effective than crisis management. My country stands united with the international community in efforts to strengthen the work of the United Nations and the Security Council. We support member states to constructively transform conflict into peace, advance security and development, protect human rights, and promote the rule of law,” Vassilenko stressed. 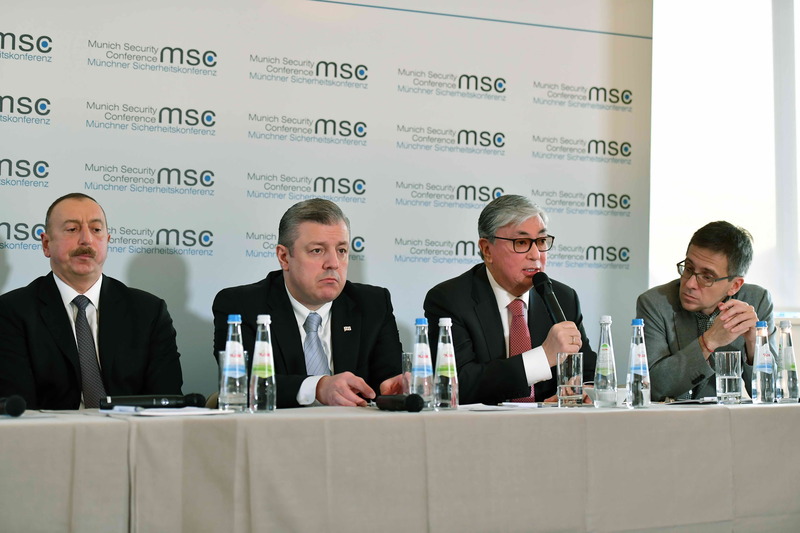 ASTANA – Chairman of the Senate of the Parliament of Kazakhstan Kassym-Jomart Tokayev told a panel discussion at the Feb. 18 Munich Security Conference that it is important to build reliable and friendly relations between the countries of Central Asia and Eurasia and the rest of the world. According to a press release from the chamber, Tokayev highlighted during the session, titled The Fault Lines of Eurasia, that Kazakhstan has no territorial issues with any of its neighbours, as all the state borders were completely delimited, including the Kazakh-Russian border, which is the world’s longest continuous land border between two countries. Tokayev also told the panel that the Chinese One Belt, One Road initiative offers great opportunities for regional economic cooperation, including for the growth of transit potential and creating new industrial capacities in Eurasia. The Senate chair also elaborated on the status of constitutional reforms put forward by Kazakh President Nursultan Nazarbayev. “Kazakhstan is a reformist country. We strongly believe that we should not stop the transformation of our society either in economic areas or in the political domain. Structural reforms must go on in any circumstances so that Kazakhstan could advance towards the 30 most developed countries in the world”, Tokayev said. The speaker informed about Kazakhstan’s priorities as a member of the UN Security Council for 2017-2018. He said the country places an emphasis on cooperation with the UN as an indispensable, universal global organisation. Tokayev also singled out the problem of the proliferation of nuclear weapons and nuclear materials, in particular, the threat of their falling into the hands of terrorists. The Fault Lines of Eurasia panel was moderated by Ian Bremmer, president and founder of the political consultancy Eurasia Group. 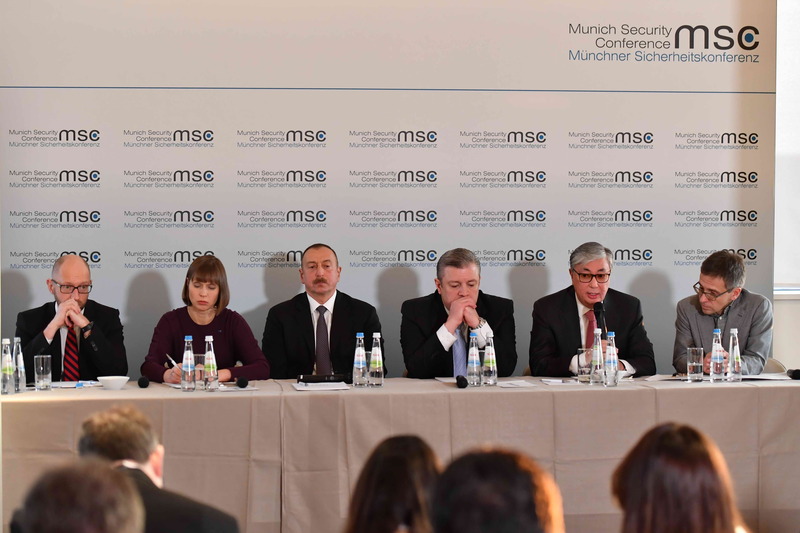 Other panel participants included Presidents Ilham Aliyev of Azerbaijan and Kersti Kaljulaid of Estonia, Georgian Prime Minister Giorgi Kvirikashvili and Ukraine’s former Prime Minister Arseniy Yatsenyuk. The panel was part of the annual conference, which this year attracted around 600 guests, including more than 30 heads of state and government, as well as members of parliaments, ministers, senior diplomats, generals and experts. The list of high-profile attendees also featured new UN Secretary General Antonio Guterres, German Federal Chancellor Angela Merkel, U.S. Vice President Mike Pence and NATO Secretary General Jens Stoltenberg. Among the focuses of the event were the future of transatlantic relations and NATO, the war in Syria and security in Asia-Pacific. Delegates at the conference discussed terrorism, information warfare, global epidemiological situation and climate change. ASTANA – Kazakhstan’s eGov.kz mobile application was named the best “one stop shop app” in the first World GovTechioneers competition at the February 12-14 World Government Summit (WGS) in Dubai. The Android, iOS and Windows phone app was launched in late 2014 and offers86 e-services, including a “Mobile Personal Cabinet” where a citizen can view his/her personal data from national databases. It also offers a map of government services, such as notaries and kindergartens, and allows users to make suggestions to improve public services. The app had more than 1.6 million users at the end of 2016. The World GovTechioneers competition was launched in December 2016 to encourage global government entities to enhance their services, implement smart government initiatives and develop partnerships to identify innovative solutions to challenges facing the world. The contest received thousands of nominations since its launch. The competition includes three main categories: Blockchain Virtual GovHack, Best m-Government Service, and Best Emerging Technologies in Government. It highlights leading projects in the fields of robotics, artificial intelligence, drones, statistical data, nanotechnology, autonomous cars, block chain transactions, virtual reality, and 3-D printing. The winners of the World GovTechioneers Race, selected by an impartial judging panel, were awarded on the third day of the WGS, Feb. 14. Kazakh Minister of Information and Communications Dauren Abayev, who headed the country’s delegation to the summit, accepted the award presented by Sheikh Mohammed bin Rashid Al Maktoum, Vice President and Prime Minister of the United Arab Emirates and Emir of Dubai. “This is a deserved award for our team of highly skilled professionals, who put a lot of effort into this project. It’s also an incentive to develop the industry,” Abayev said. Also at the summit, Abayev discussed Kazakhstan’s experience in the field of digitilisation and the “Digital Kazakhstan” programme with the Minister of Economy of the UAE Sultan bin Saeed Al Mansouri. The sides also discussed the hub Astana plans to create within the Smart City project and agreed to cooperate in the technology sector to develop digital transformation. Abayev also discussed cooperation and progress in modernising public services, procedures simplification and public services management with UAE Minister of State for Happiness Ohoud Al Roumi. The WGS 2017 attracted more than 4,000 people from 139 countries and featured 150 speakers over 114 sessions. The attendees included leading figures from the public and private sectors globally, ministers, decision makers, chief executive officers, innovators, officials, entrepreneurs, academics and university students. President of the World Bank Jim Yong Kim, Prime Minister of Bhutan Tshering Tobgay and UAE Minister of State for Tolerance Lubna Khalid Al Qasimi delivered keynote speeches at the event. The summit attendees were Uber CEO Travis Kalanick and Tesla CEO Elon Musk. Issues like the end of globalisation, how technology is breaking borders, treating extremism and the source of nuclear energy were key topics discussed during the summit. Participants of the three-day event shared best practices in government agencies’ work and talked about their vision of the future government. The WGS included participation of seven world and international organisations who are also strategic partners of the summit, including the International Monetary Fund, the United Nations, UNESCO, Organisation for Economic Cooperation and Development (OECD) and the World Economic Forum. ASTANA – Another two days of talks on strengthening the ceasefire regime in the nearly six-year-old Syrian conflict ended Feb. 16 in Astana with the adoption of a document to formalise monitoring of the ceasefire. The document will guide the activities of a joint operational group to be formed by Russia, Turkey and Iran that was agreed to be set up during the earlier meeting in January in Astana. The document is also meant to guide confidence-building measures among the opposing sides. The parties also agreed during the talks to continue discussions of a mechanism to exchange corpes and prisoners, including women and children, said Russian Foreign Ministry Special Envoy for the Mideast Settlement and Director of the Department of the Middle East and North Africa Sergei Vershinin during a Moscow-Damascus-Astana teleconference following the talks. The meetings were meant to also create a positive momentum in support of Feb. 23 peace talks in Geneva. In addition to representatives of the trilateral monitoring group, the Feb. 15-16 meetings were attended bythe Syrian Arab Republic’s delegation headed by Syria’s Permanent Representative to the UN Bashar al-Jaafari and the Syrian armed opposition delegation representing nine groups and being headed by the political leader of Jaish al-Islam Mohammad Alloush. Representatives of the United States, Jordan and the UN attended the talks as observers. 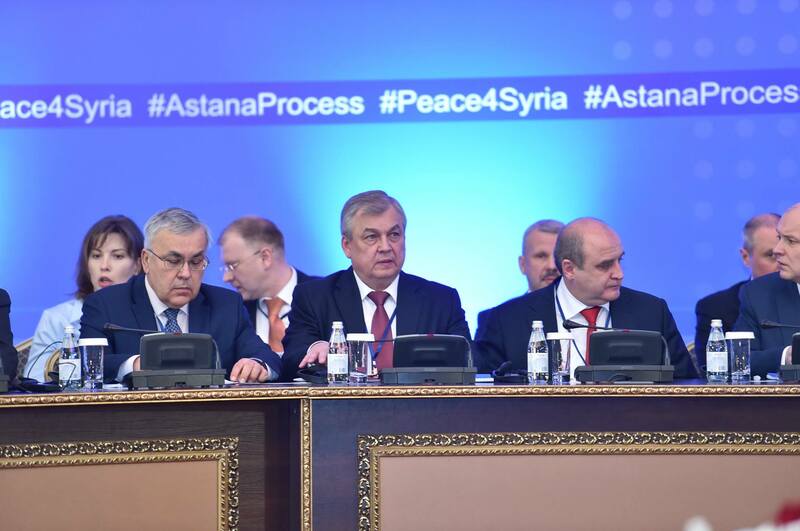 Kazakh Deputy Foreign Minister Akylbek Kamaldinov opened the talks’ plenary session expressing Astana’s hopes that the meetings on Syria would make a tangible contribution to the UN-led Geneva process and ultimately result in a comprehensive peace agreement on Syria. “Kazakhstan, as a non-permanent member of the UN Security Council for 2017-2018, will make every effort to address issues of regional and global security. In this regard, we are prepared to further contribute to the process of Syrian settlement,” Kamaldinov said. He highlighted that all the meetings in Astana were held in a constructive manner, and showed the importance of the Astana platform created with the support of President Nursultan Nazarbayev. In a press briefing following the end of talks, Al-Jaafari emphasised that Damascus is committed to taking all steps to comply with the ceasefire regime in order to stop the bloodshed. He said Turkey “cannot be fanning the flames and extinguishing them at the same time.” Al-Jaafari accused Turkey of continuing to facilitate the entry of “tens of thousands of mercenaries” to Syria and said the talks ended without a final statement because of the late arrival of the Turkish delegation and the Syrian opposition. Alloush, in his turn, said all opposition groups represented at the talks would as well take measures to support the shaky truce. Despite the objections of the Syrian armed opposition concerning Iran’s participation, the decision to establish the joint Russia-Turkey-Iran group was approved. “We also discussed mechanisms to establish control over the ceasefire regime. Russia mentioned a brief document in response to the document that we presented,” Alloush said at a press conference. The head of the Syrian armed opposition emphasised his delegation’s commitment to acting in the interests of the people of Syria, who have suffered a lot over the six years of the conflict. He also stated that there were two more documents that hadn’t been signed in Astana. One of them sets the procedures of identifying and preventing violations and provides for sanctions against violators of the truce. The other deals with areas that are under the control of moderate Syrian armed opposition groups that have signed the Dec. 29 ceasefire agreement. Lavrentiev said both documents might be adopted within less than a month. 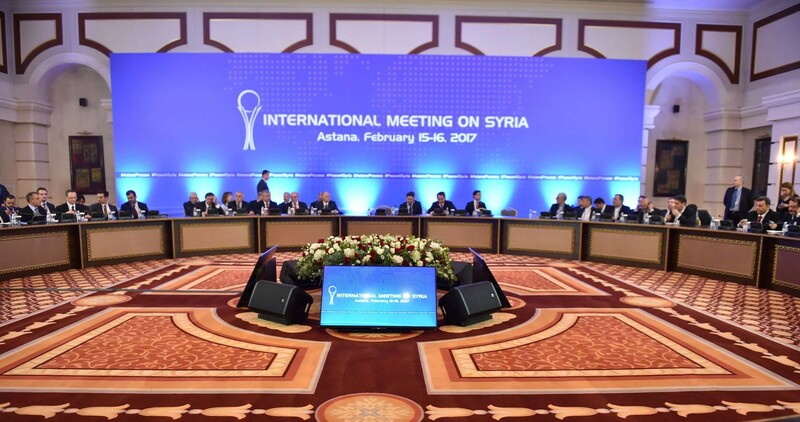 The Feb. 15-16 talks followed two previous rounds of Syria negotiations in Astana. The first meetings were Jan. 23-24 and were the first to include both the Syrian government and the Syrian armed opposition. Representatives from Russia, Iran and Turkey also attended as well as representatives of the UN and the United States who attended as observers. The trilateral group, as well as observers from Jordan and the United Nations, met again Feb. 6 to discuss mechanisms to monitor the ceasefire. The Russian delegation’s Vershinin said the Astana meeting was “another important step” towards bringing the ened of the conflict closer.